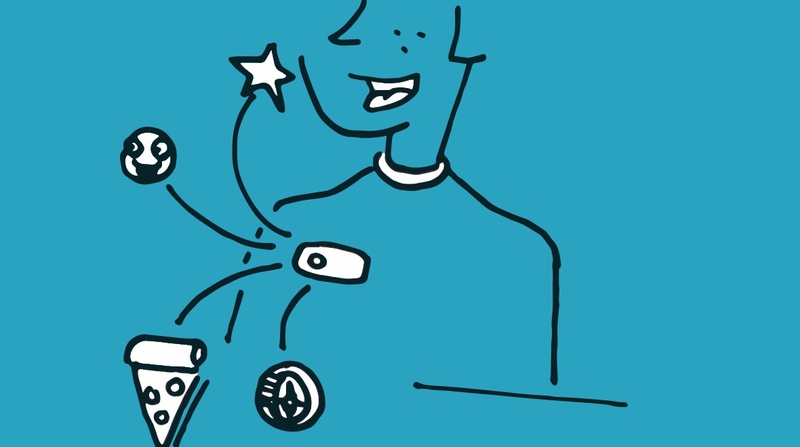 What if you and your wearable could have a conversation? Not a conversation involving command prompts or specific phrases, but a natural, fluid discussion about the weather, or what kind of run you should go on today. That's the idea behind Asteria: claiming to be 'True AI', which learns everything about you but doesn't just crunch numbers to throw them back at your face. Rather, it turns the data into personalized pieces of information relevant to you - through a conversation. It sounds like a film or novel, something romanticized and created to whet our appetites for genuine AI, but Asteria co-founders CEO Dan Gailey and COO Nathan Ross believe it's possible - and that they're well on their way to making it real. Asteria is all about becoming the next big AI thing, but it's also a platform for developers to create and collaborate on. Gailey says the concept even began at a hackathon in 2013 and drew inspiration from Star Trek communicators. "I came up with this idea of creating a marketplace for bots and services - not a marketplace where you buy bots, but where bots and services can interact and have agency to man and control one another. "We wanted something you can carry around with us that's out of the way. One of the inspirations came from Star Trek's little wearable communicators. They were always there and available." Though Gailey adds, "Asteria is first a device." The device happens to also be a wearable, and looks similar to clip-on lifelogging cameras - but of course it promises to be more. Gailey says the device should also be convenient, unobtrusive and available when you need it: "Having a wearable device where you can just tap in and interact is kind of how we picture ubiquitous computing devices existing in everyday life." The AI of today are merely chatbots that respond to our queries and remain limited to the algorithms and software that was engineered to create them. Think Siri, Google Now, Cortana, Amazon Alexa. None of these programs really learn from or about you unless you've input data into their accompanied devices. In-ear coaching seems to be the latest area AI is showing up in but similar to the other bots, you can't converse with them. Earbuds that can take your biometric information and give you tips on a smartphone, or calculate what your next run should be like, but again, it's done in a robotic impersonal way (so far). Companies like Lifebeam's Vi, Boltt and Lumo are making a lot of progress personalizing programs to make sure the data makes sense. But while those platforms are geared towards a specific user base, Ross says Asteria isn't just for exercise. "It doesn't just focus on fitness, it starts to evolve with what you do," he explained. "If you're into hiking, it will start to ask about things you need to track so you can better understand what data is important to you life. "If you're more into art, or going to museums, it might give you information based on that. We want to be very personal to you. The idea is not that it's your assistant - it's a companion you carry around that becomes more and more your friend over time. It knows you better than any other person or system." The original hearable maker on becoming the "fourth platform"
Do our wearables need AI? The big question surrounding wearables is 'why.' Why use one, when you have a smartphone? Integrating AI could be the best way wearables could work for us. But it will need real AI that can truly observe, predict and deliver personalized, relevant feedback. Wearable companies are already having a tough enough time trying to figure it out - many doctors and behavioral scientists are still trying to find the best way to tailor data in a way that gives wearers what they want. Gailey seems to understand this and has a similar approach to building out Asteria. "What we can do with that data and device is start creating models of the world - of how people use things, when they use it and where they use it. Then you start building models of all these services and all these products, and all these interactions. "Eventually they're predicting. Then you can do things like ambient intelligence where you can provide services and you can provide products or experiences to people before they know they need it." To gather data and "build realistic models of how you operate with the world," the device is filled with plenty of sensors including Wi-Fi, Bluetooth, GPS, accelerometer, compass, temperature, barometer, and microphone along with an 8MP camera with rechargeable battery. The small form factor also measures in at 24mm x 78mm x 4.8mm. There's no screen on Asteria though. The idea is to speak with it conversationally opposed to asking questions and receiving answers gleaned from the internet. At least that's the idea. You won't be able to speak with the device right away but Gailey notes it's built so you can talk to it. "The device itself has no screen, it has to be conversation, it has to have a voice. Eventually we want it to have conversations - right now it has a speech detect module onboard so that programs can utilize any conversational interface that they want." 'Eventually' is the key word here. Everything is still in development with pre-orders up for grabs at $299 right now - but it's a Development Kit (device included) that's shipping out spring 2017. While it's hard to tell what Asteria will be like, we can only hope the co-founders deliver on their vision that Asteria will "eventually be the friend you grow up with." Until then, we'll be keeping a close eye on the startup.